Pamper Your Sweet Tooth With These Delectable Desserts! For most of us, any time is dessert time, doesn’t matter what time or place. But not many of us think beyond cakes and ice-creams. Although ice-creams and cakes are always delicious, there isn’t any harm in trying something new. The world isn’t small and each place in it has a speciality dessert to offer. Also contrary to popular belief, not all desserts are unhealthy. Leaving the sugar content aside, desserts that come with fruits can be considered healthy as well. But who cares when it comes to desserts? It’s always okay to deviate from your diet a little and satisfy your sweet tooth. Here’s a great start to a petition for increasing variety in sweets. If you feel like you’ve never heard the name before, then you’re probably right. It does have its surprising origins in New Zealand. Named after a Russian ballerina, Pavlova is strictly meringue-based, with a thick crust. It’s often topped with fresh cut fruits or simply whipped cream. It’s basically heaven for those who love comfort food, that makes them feel all gooey and loved up inside. Despite its simple recipe and small size, a trifle really does fill up one’s heart. It’s also one of the most customizable desserts there ever was. However, this dessert has its secrets! For starters, it’s originally an English dessert, and the sponge cake layers are often soaked in either wine or sherry. It’s topped with lots of custard and whipped cream. 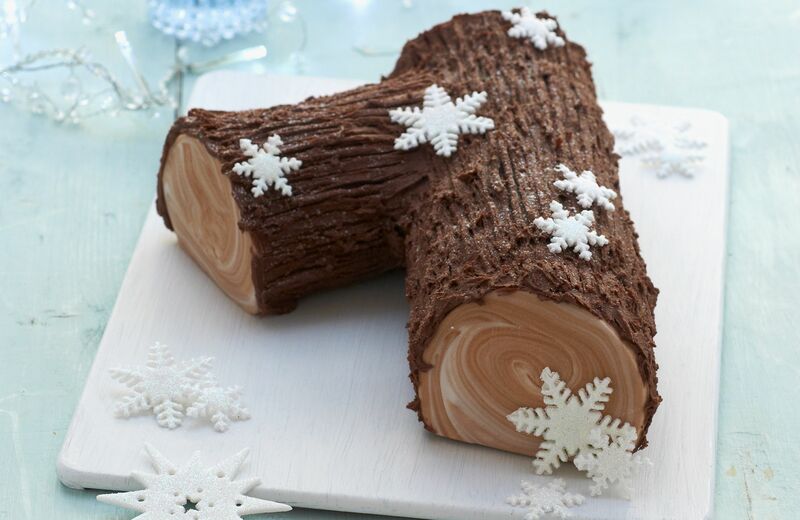 Don’t get astounded by the quirky name because many only know them as the Yule Log. Those who make it, know the skill it takes to roll a roulade in the shape of an actual log. You’ll find this French dessert served everywhere from Belgium to Quebec, and in other former French colonies. It’s mostly beloved by children because of the chocolate buttercream that is generously stuffed in the log. Yes, it’s a dessert. No, it doesn’t have actual minced meat in it. This little bite-sized pie is beloved by the English, and soon to be, you! It’s stuffed with a mixture of dried fruits and spices called “mincemeat”, giving it its name. Doesn’t the gooey centre with a cute little star on the top look absolutely irresistible? Unbeknownst to many, the Danish Pastry that we all so love and enjoy, is even good enough to be a festive dessert! Who isn’t fond of a Danish Pastry? The warm buttery layers of puff, with different kinds of jam on the inside, is a sinfully beautiful combination. It does have its origins in Austria, but has become a Danish speciality of sorts. The world of desserts is huge and a single lifetime isn’t enough to taste them all. However, the good thing is that you don’t need to travel to different parts of the world to get your hands (mouth) on them. You’ll find most of them in plenty everywhere. Order through Swiggy now as there is always room for some dessert! 5 Dessert Places in Kolkata To Satisfy Your Sweet Tooth! Previous article7 Places in Bangalore One Must Try To Keep Those “Eat Healthy” Resolutions Going! Next article9 Places In Delhi NCR To Order In From To Treat Yourself To A Hearty Vegetarian Meal Right Now!